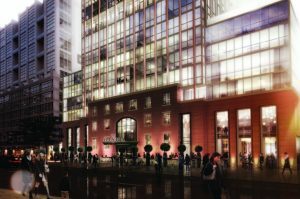 Siren Communications has been appointed Canadian PR agency of record for the launch of Bisha Hotel & Residences, a new luxury and lifestyle boutique hotel in Toronto’s Entertainment District. Bisha Hotel & Residences, slated to open this summer, will stand 44 storeys tall featuring 96 luxury boutique hotel rooms and suites and 355 residential condominiums. The facility will also feature 43rd floor event space, a fitness centre, as well as four food and beverage concepts including a destination restaurant, a lobby bar with street-level patio access, a 24-hour café and a 44th floor rooftop restaurant with infinity pool. Siren CEO Ann Layton says Bisha Hotel & Residences Toronto will be an exciting addition to the city, shaking up Toronto’s hospitality scene and offering a vibrant and magnetic hotspot.